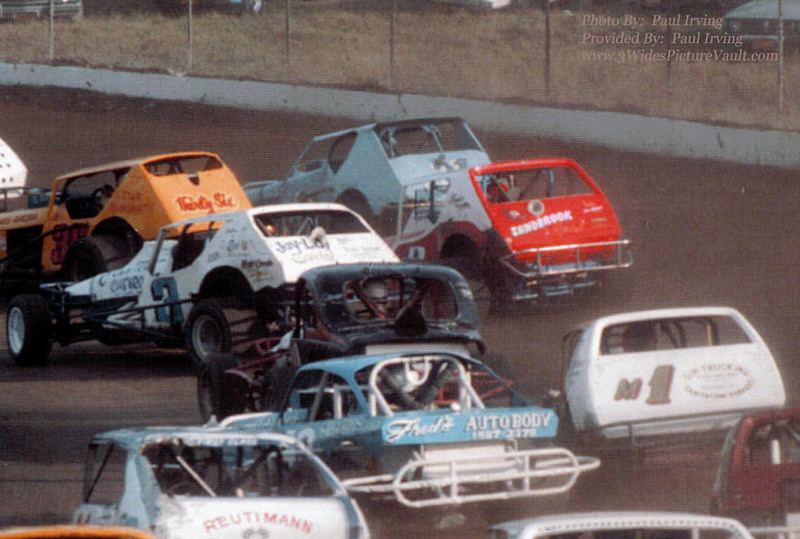 Sometime during the 1977(?) 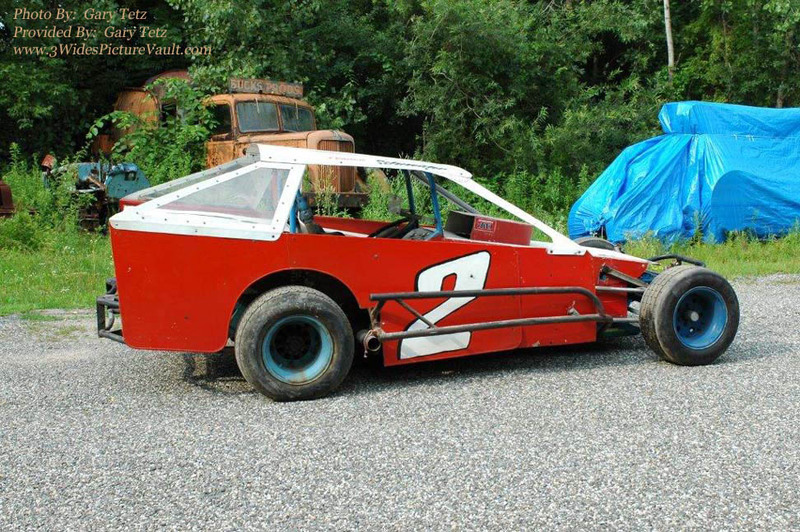 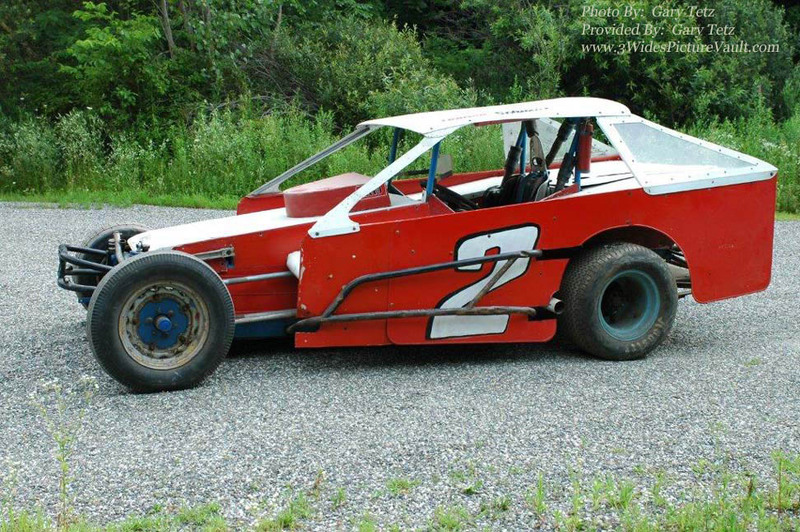 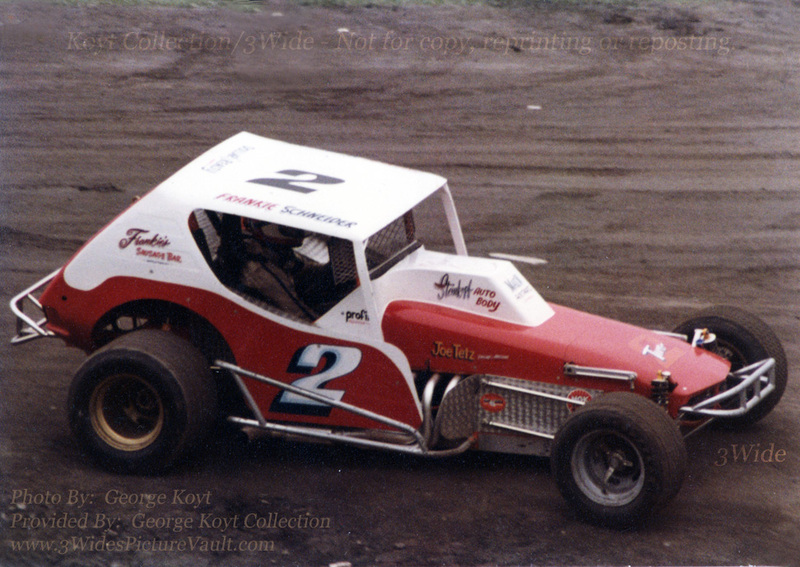 season, Frankie Schneider began driving the Grant King built #2. 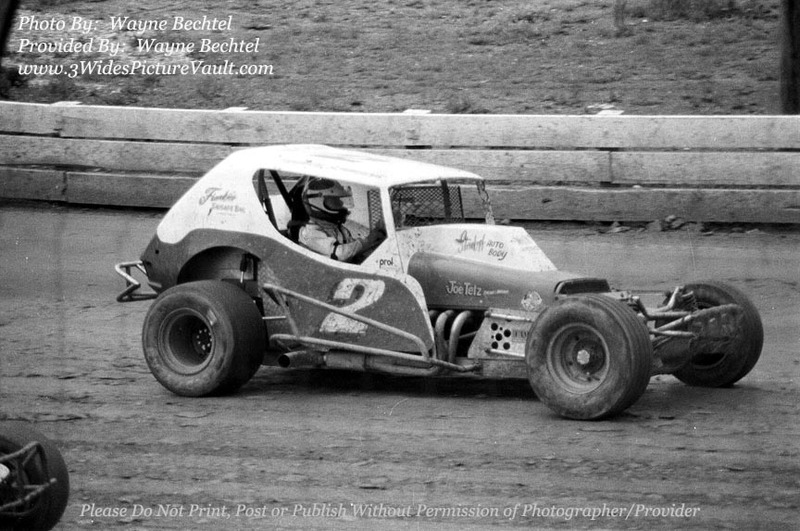 Here's Frankie in the King car. 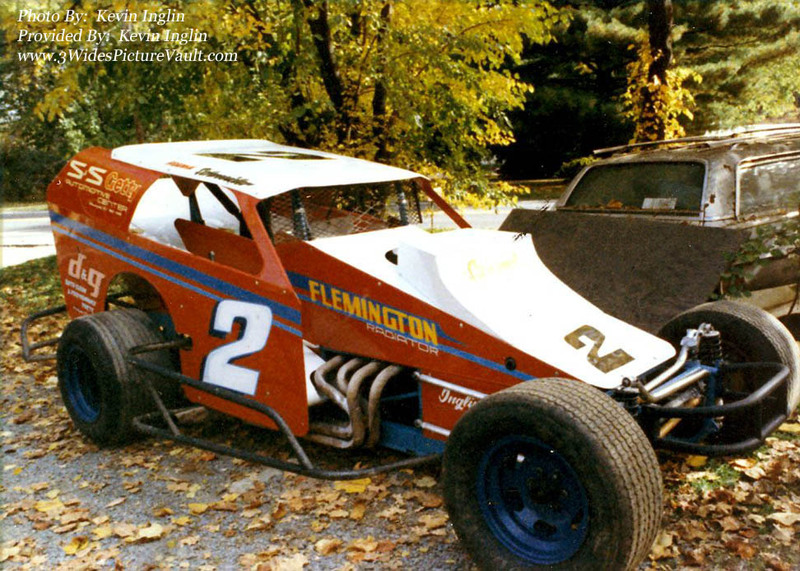 Back of the photo marked "Syracuse, Sept 1977." 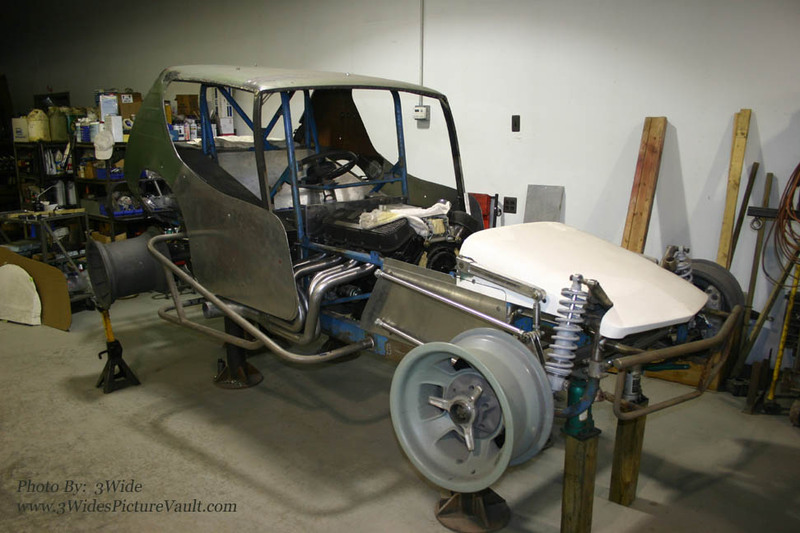 As time went on, the car went through changes including the bumpers, nerf bars and eventually major changes to the front and back suspension. 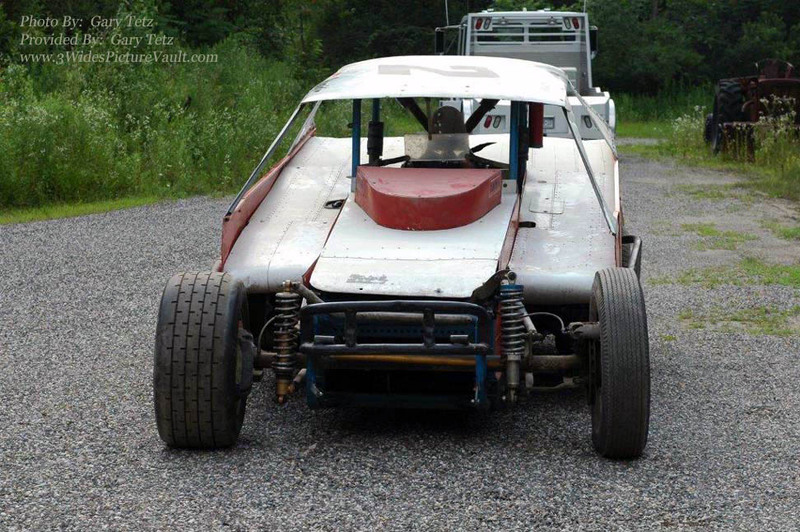 Near the end, it was parked pretty much as you see it in the photo above. 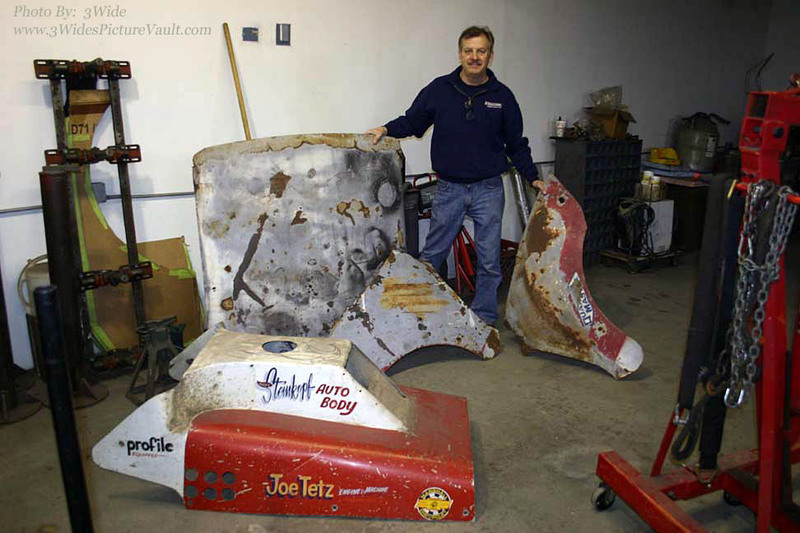 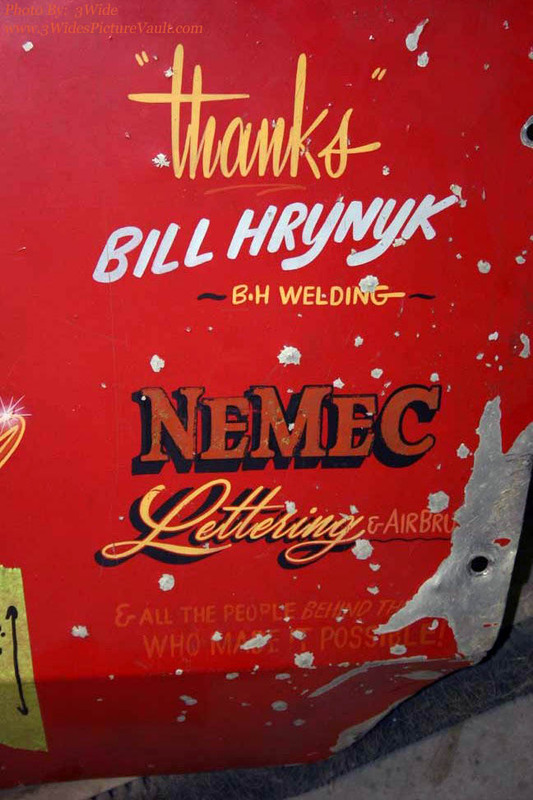 The car (as pictured above, along with some of the original King sheet metal) was purchased by Gary Tetz to be restored. 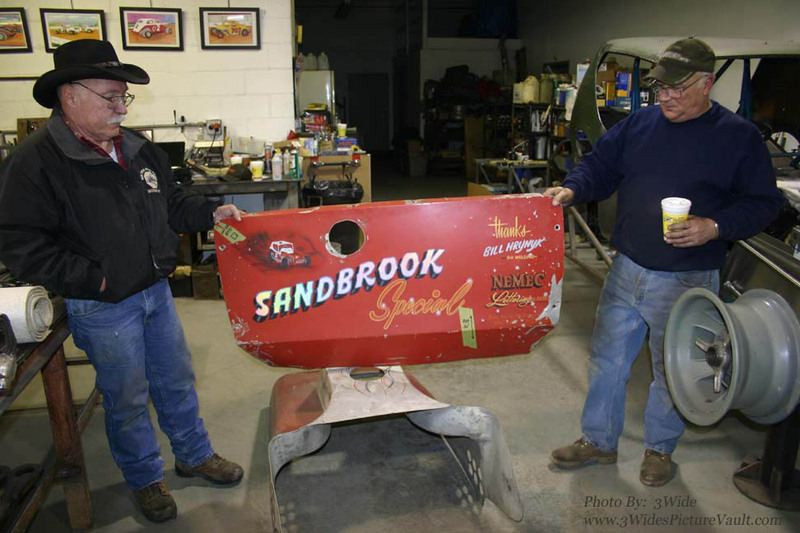 Owner Gary Tetz on left with fabricator John Pastormerlo hold up the rear panel from the original King car. 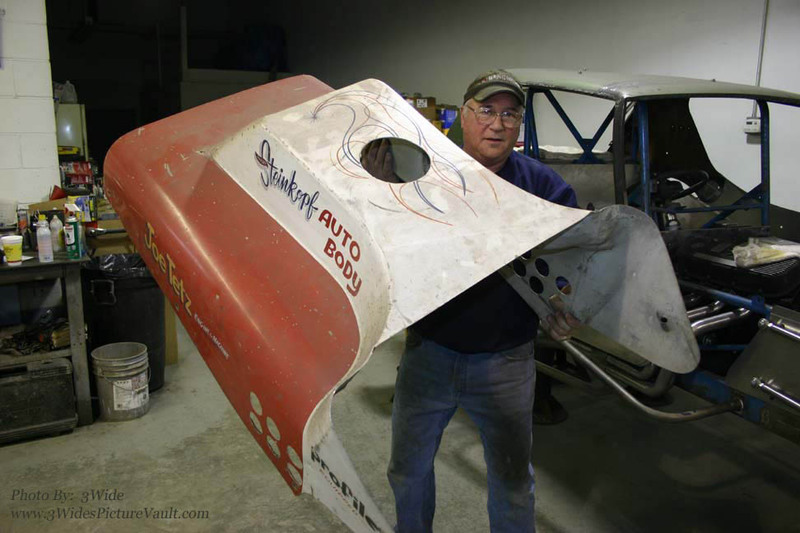 John holds up the original aluminum hood (not fiberglass) from the original car. 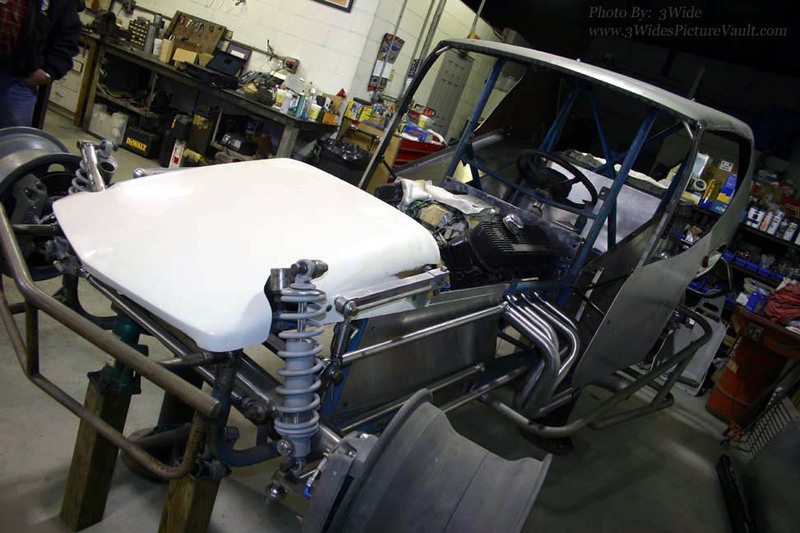 The goal is to restore the car to how it looked when Frankie first raced it in 1977, and then to display the car at various events. 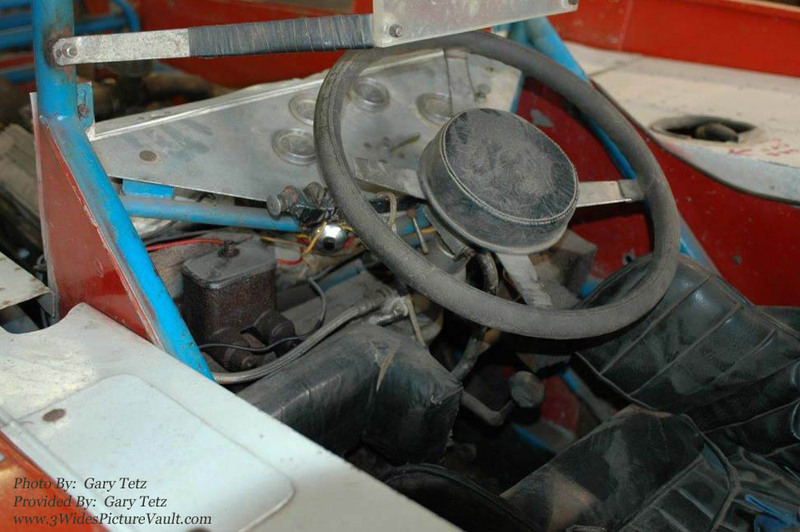 In some early shots, the car had an orange frame which Frankie eventually painted to the more familiar Schneider Blue. 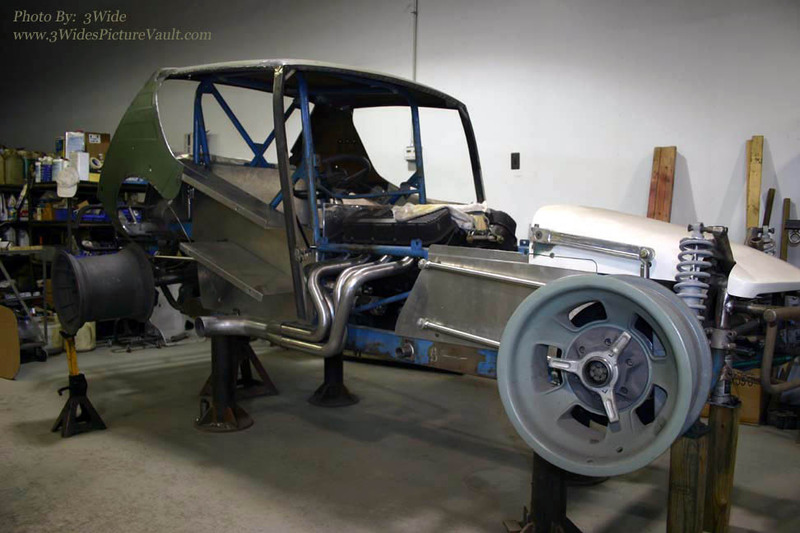 A '72 Gremlin was found to provide the quarter panels and the roof (which has to be shortened by a few inches). 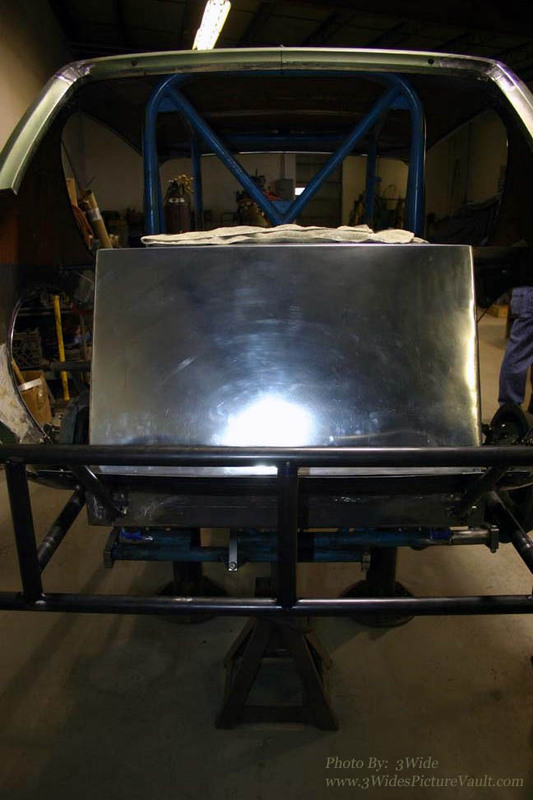 That's the fuel tank that came with the car after a bit of polishing. 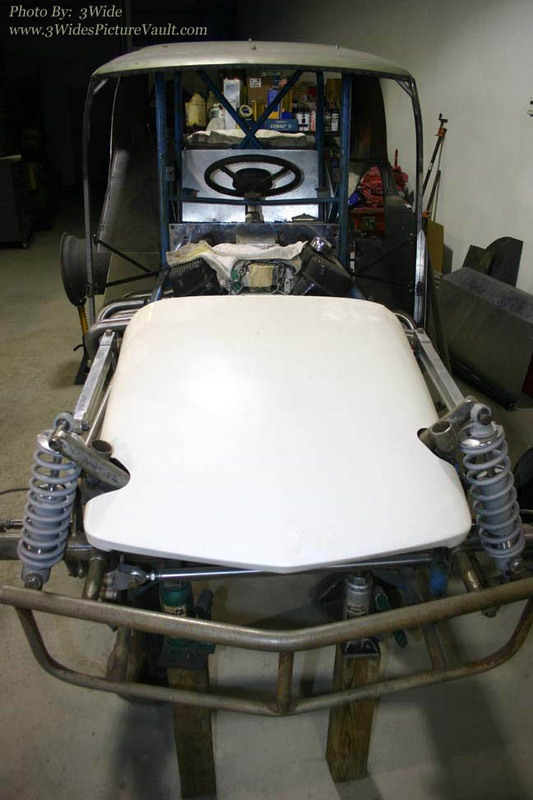 A replacement nose piece had to be sourced, but that's THE ORIGINAL KING BUMPER! 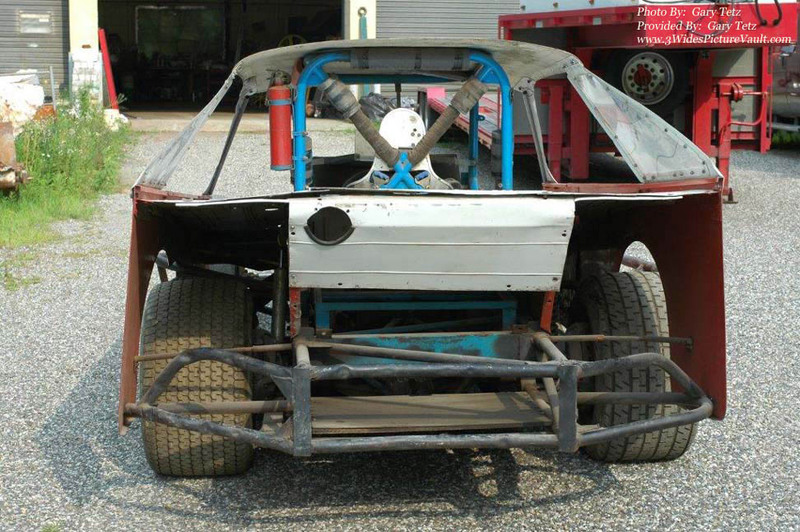 It's all there... the frame, the front and rear suspension, and it'll be powered by a big block. 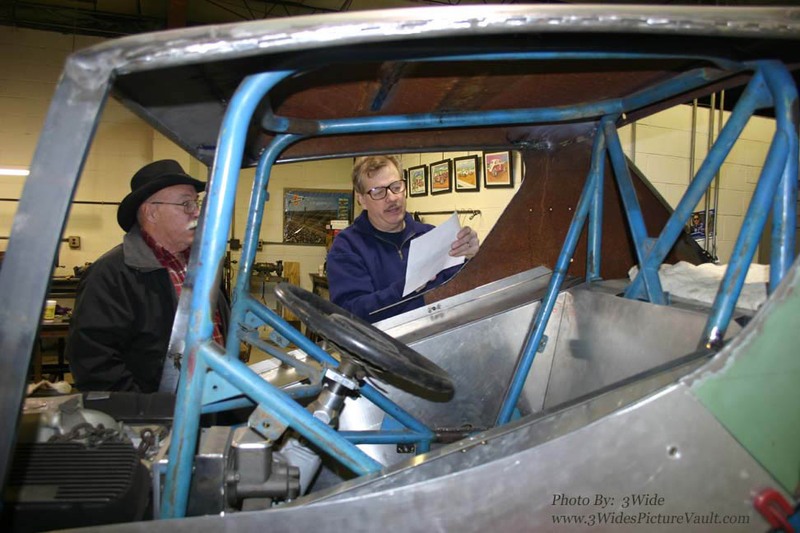 Gary Tetz (left) and Lenny Swider (right) look over a couple of measurements on the car. 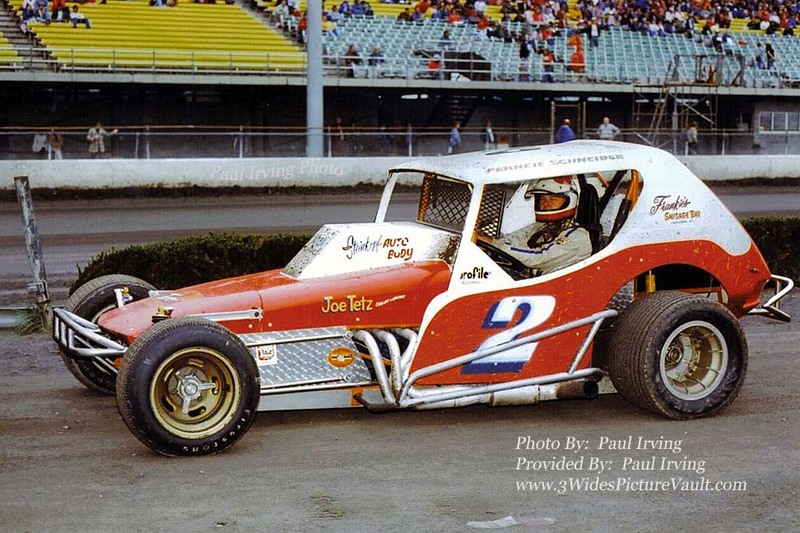 I've learned that the original King cars were all built out of chrome moly and all tig welded. 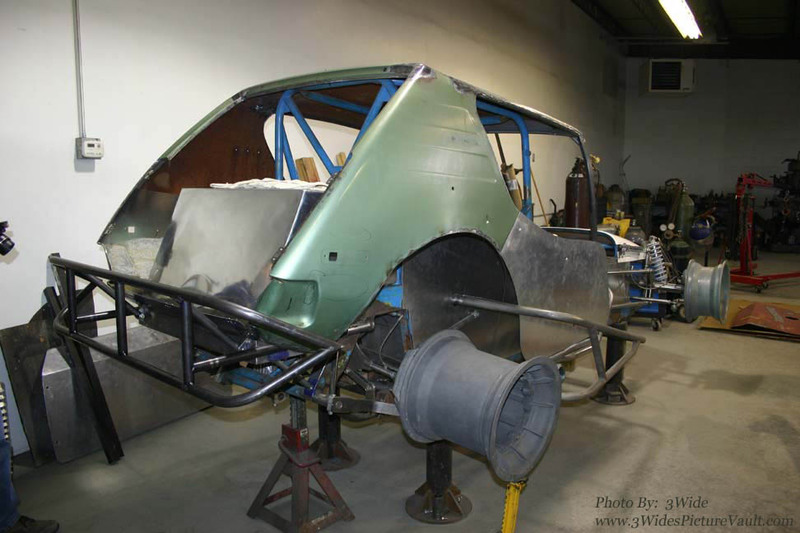 Although it won't be used on the restored car, having the original hood, roof, rear deck and quarter panels from the original 1977 car is pretty cool! 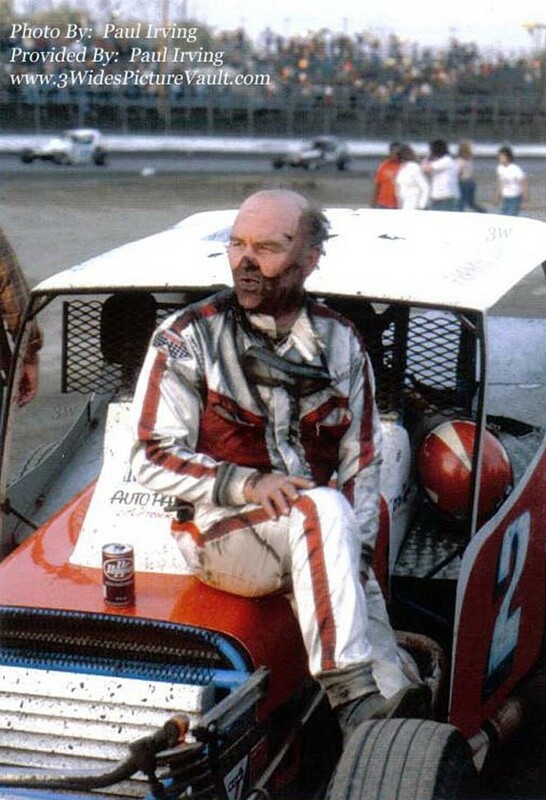 The Ole' Master Frankie Schneider takes a break after climbing out of his Grant King Gremlin in this Paul Irving photo from Middletown (1978 or '79). 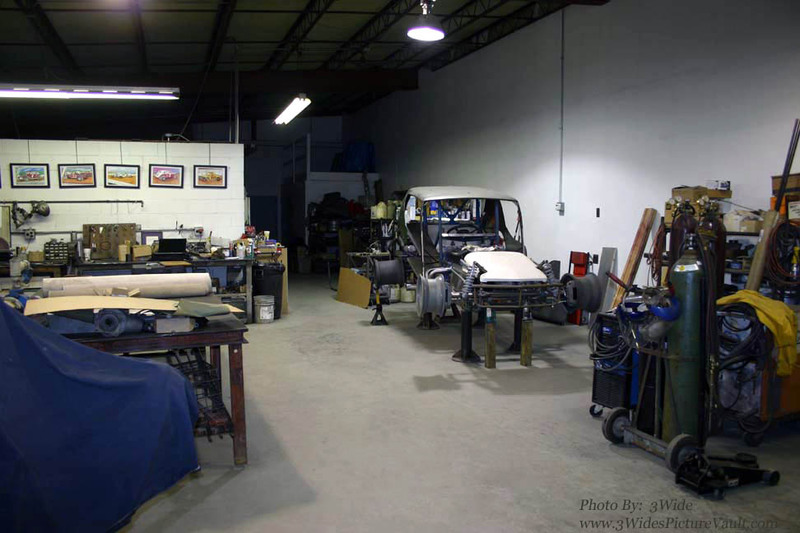 Vault thanks to Gary Tetz and John Pastormerlo for letting me visit their workshop and take a look at this amazing restoration. 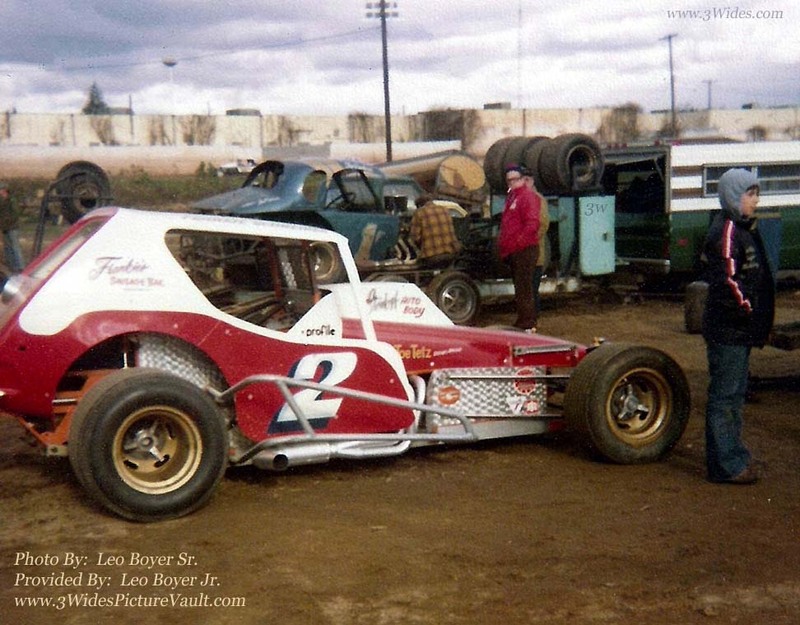 Thanks also to Friend of The Vault Lenny Swider for the invite to take a ride up to Gary's!